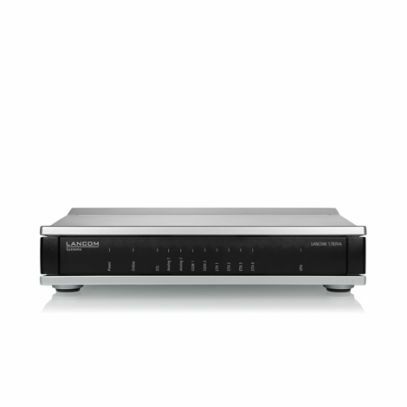 The LANCOM 1783VA is the ideal device for professional telephony and high-speed Internet. With its integrated LANCOM All-IP Option, 2 ISDN interfaces (1 x TE / NT and 1 x NT) and 2 analog interfaces, this device is the ideal solution for analog, ISDN, and VoIP telephony at locations with an All-IP connection - without the need to replace any existing components. The router also offers high-speed Internet thanks to a VDSL2/ADSL2+ modem, WLAN based on IEEE 802.11n, and secure site connectivity with IPSec VPN.